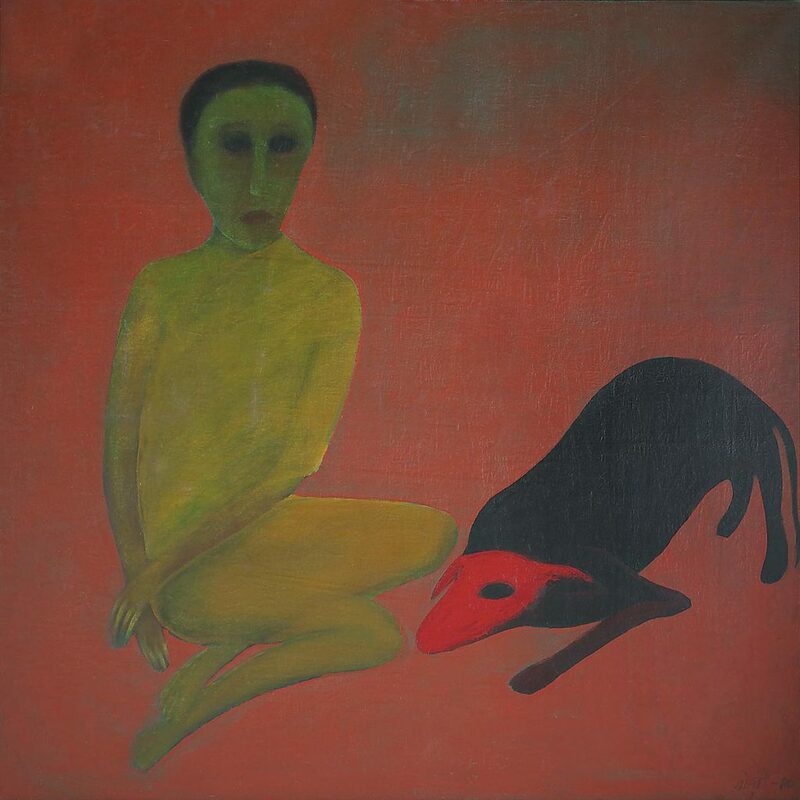 Born in pre-Independence India, Gogi Saroj Pal studied art in Banasthali, Rajasthan, taking a diploma at the Government College of Arts and Crafts, Lucknow, and a postgraduate diploma in painting from the College of Art, New Delhi. 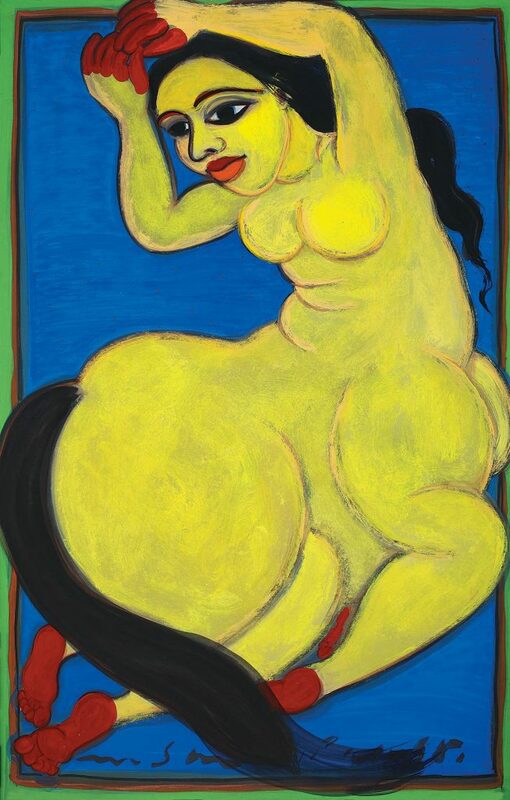 As a painter, her concern is with the human, and particularly, the female condition. 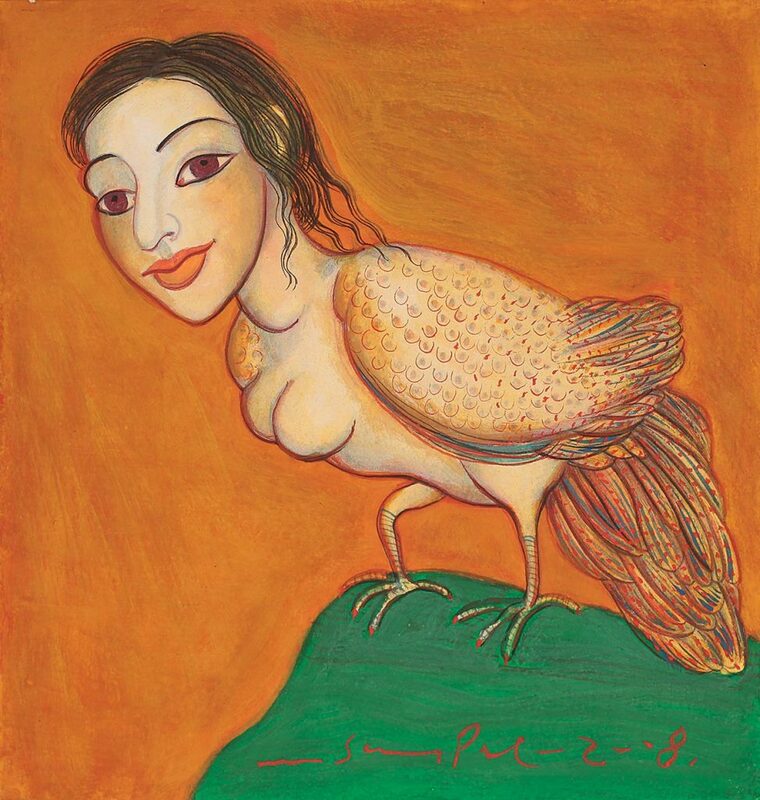 Pal rejects the nomenclature of a ‘feminist artist’, with her creative concerns embracing local, regional and universal consciousness while addressing contemporary issues. They emerge from her astute understanding of engagements that overlap between history and memory. Pal often uses the Kamadhenu or wish-fulfilling cow as a metaphor for womankind – both for her giving nature as well as well as to express her anguish against their exploitation. Her Nayika series expanded on the facets of feminine attraction, addressing the female as the epitome of sensuality and male desire. 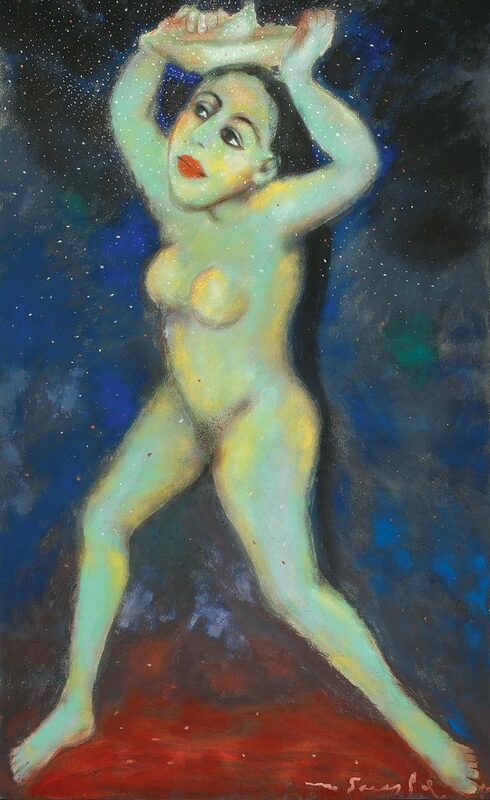 Solid and lucid in heavily outlined form, the female body has been playfully compressed within the pictorial frame to be experienced in its corporeal fullness. 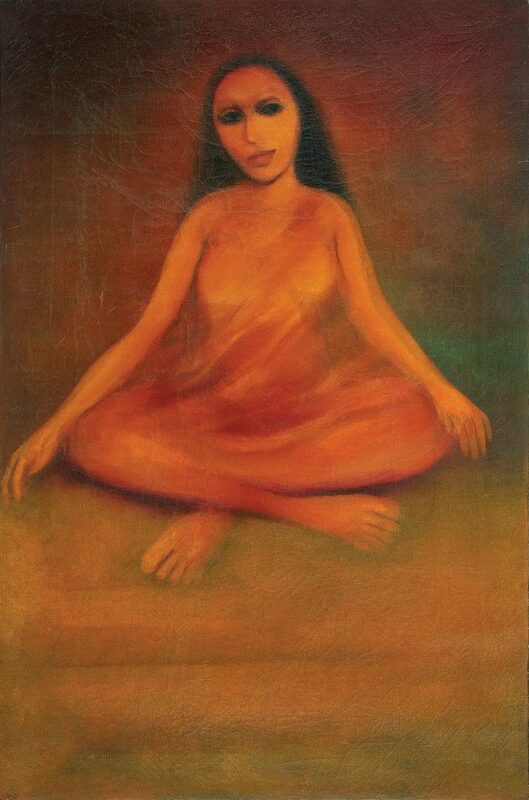 In soft glowing colours, she portrays women as silent victims of social justice in patriarchal structures, their limp limbs, tilted heads and folded hands suggesting their helplessness. Pal’s work forms a part of major museum collections in Japan, Amsterdam and Poland. 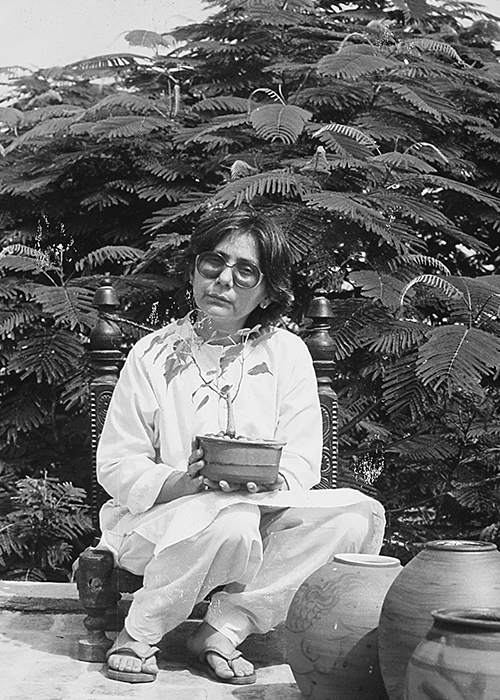 Among the honours she’s received, has been the Sanskriti Award in1980, a fellowship to the Lalit Kala Akademi in 1981-82, a junior fellowship from the Department of Culture, Government of India, 1986-88, and the National Award by the Lalit Kala Akademi in 1990. GogiSaroj Pal lives and works in New Delhi.